This package can be used to present quick reference pages to browse the available classes. 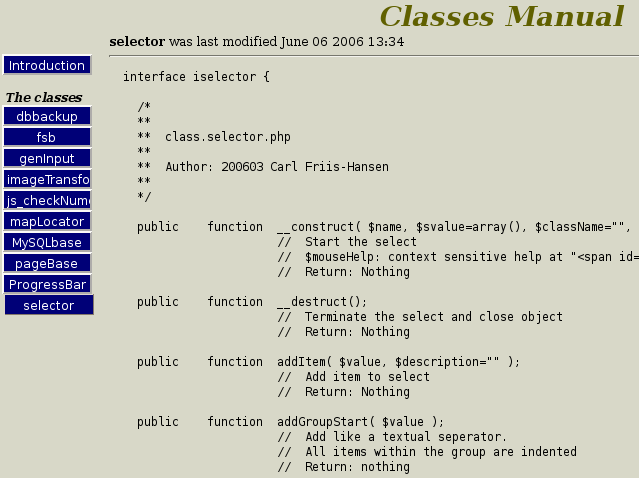 The main class browses all the directories in the current include path to extract the list of available classes. A page is generated with a menu of links to pages that display the contents of all the available class source files. The presentation details can be configure using CSS style sheets.